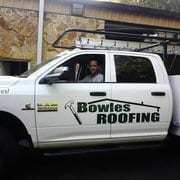 Call Bowles Roofing now and entrust the professionals for all your Leesburg Florida roof repair needs. Leesburg offers a leisurely casual lifestyle. Fishing, boating, biking, camping, hiking, horseback riding set the stage for an outstanding experience. A healthy, growing economy makes for a great place to establish roots. Folks visit and then decide to make it their home.